Last weekend I went wine tasting with some friends to celebrate a couple of their birthdays, and the last stop of the day was Barrel Oak Winery in Delaplane, Virginia. As anyone who follows my Flickr photostream knows, I’m a huge fan of dogs at vineyards, and this has to be the most dog-centric vineyard I’ve ever been to. Their initials, of course, are “BOW,” which they make regular use of, and they have portraits of dogs hanging up all over their tasting room. Also, if you look at this photo at full size you can see the logo on their glass features a dog looking up into a tree. There must have been over a dozen happy canines roaming around the property while their owners sipped wine. The ambiance was unbeatable, so we procured a few pitchers of sangria and parked ourselves on a picnic table to watch the sunset. 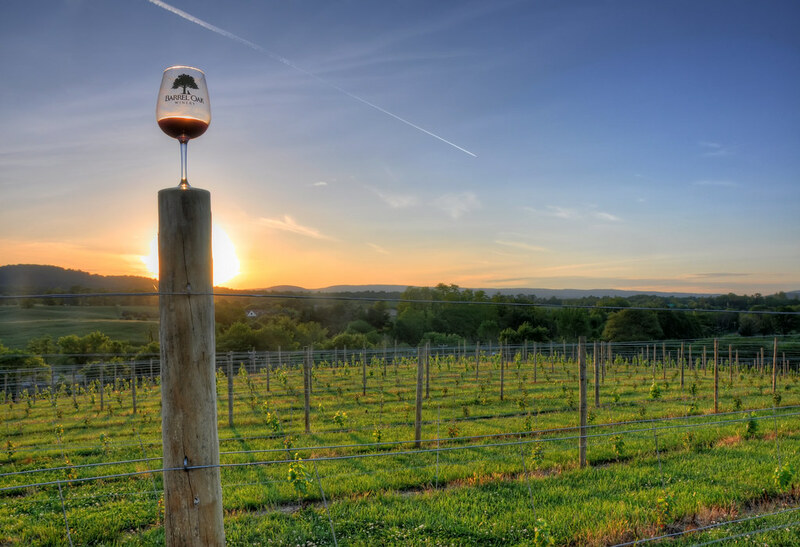 Last fall I was in the Northern Neck area of Virginia for a friend’s birthday and we all decided to do some wine tasting as part of the celebrations. On our way out of White Fences Vineyard we stopped by the entrance to take some pictures in front of one of their gigantic 25′ tall corkscrew statues. That’s when we noticed this guy, who was sitting just behind a fence and gave a few little howls and barks as we approached. We could tell he was shivering, which was no surprise considering what a cold and misty day it was, but he stood his ground and watched us attentively as we left. By the way, if you’ve never had White Fences wine you should check them out. It’s easily the best wine I’ve tried from the Northern Neck, and one of my favorites from Virginia in general. 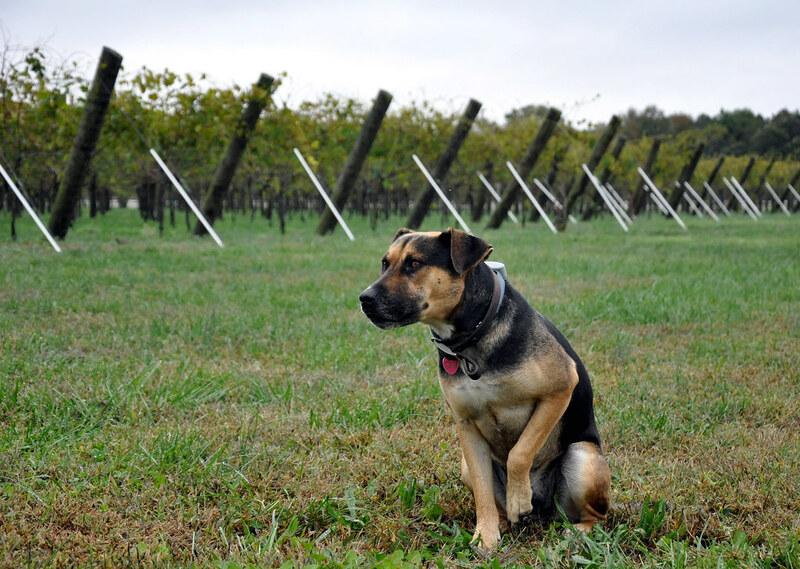 Hopefully we’ll see them at this year’s Virginia Wine Showcase next weekend, so when we get a tasting I’ll see if I can find out this dog’s name.